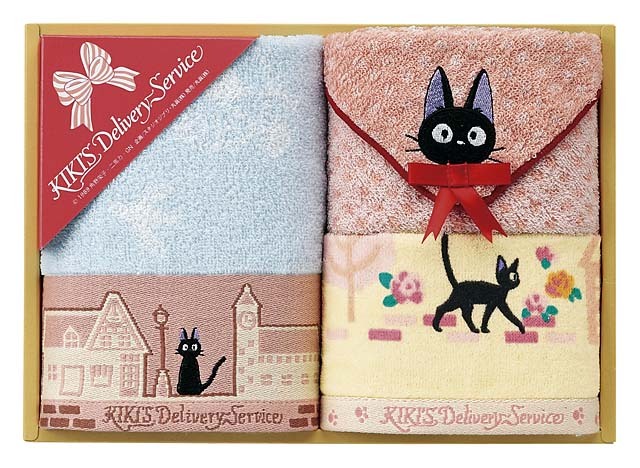 This is a Japanese novel “Kiki’s Delivery Service” towel set. It is the basis of the Studio Ghibli anime film (“Majo no Takkyūbin“). Ideal item for a birthday gift, etc.